Learn how to steer the robots using a PlayStation controller, pan and tilt camera to capture and stream video wirelessly, and to use laser-mapping techniques. 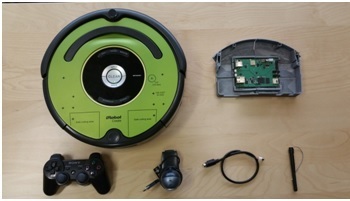 Developed by Gumstix Co-Op student, William Phan, featuring the iRobot Create 2, the Neato XV Signature Robot Vacuum and the Kobuki TurtleBot 2 Robot. 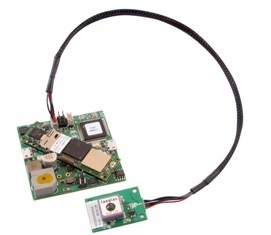 Developed in conjunction with Stanford University graduate students Robbie Bunge and Andrew C. Smith, the new Aerocore 250 Overo expansion board was specifically designed for smaller, more nimble quadcopters and provides a cost effective platform for building a lightweight UAV. 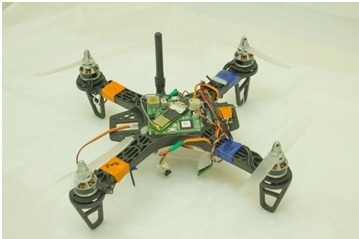 Pair it with a Pre-GO series of GPS boards to pre-program a flight path or stream and capture video over Wi-Fi with the addition of a camera. 2 Responses to "Robotic Tutorials for Astromech Droid, Laser Mapping, ROS and UAVs"